I need money... LOTS OF MONEY!!! they pay much better than regular work! 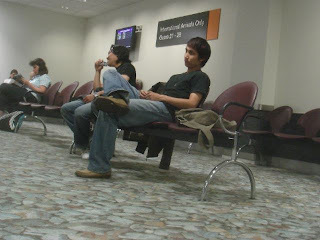 p/s: I lost my regular work with Unistop & Illot cafe due to a lack of time for the employer. The first job i took was with Victoria International, the wing of my university administration that deals directly with International students. 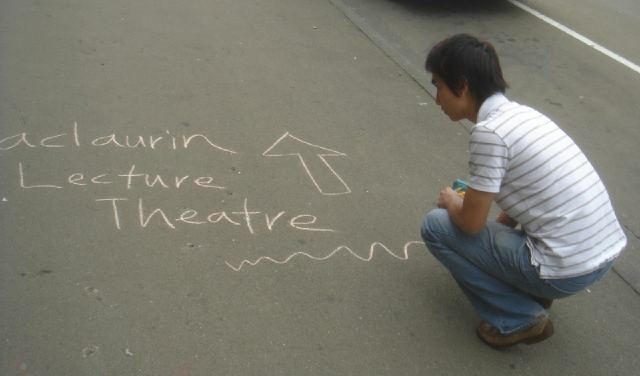 & having fun filling the streets outside uni with graffiti! The purpose is to show new students where to go for their orientation. Are you a new international student? 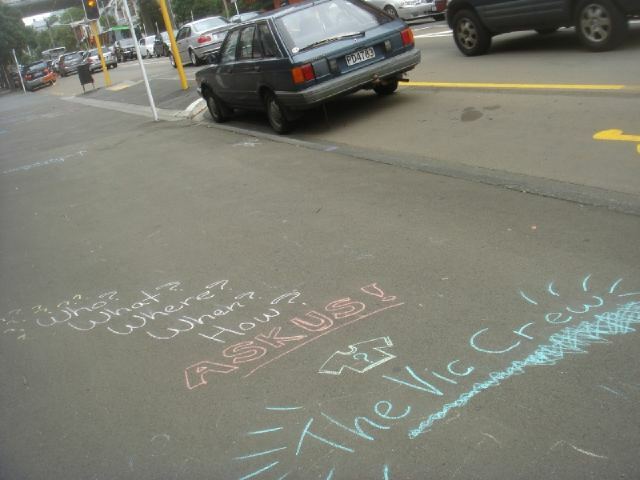 Seek "The Vic Crew" in their oversized green t-shirts! as well as the later on and off airport pickups! The second job I took up was with the university's Students Services Group. first-year students are given a choice to sign up for a 1 month long Campus Coach programme. 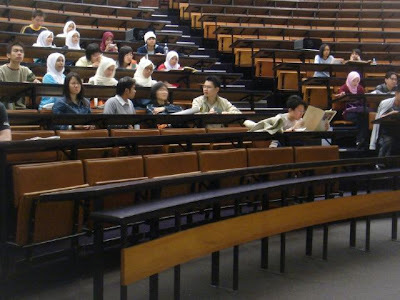 Those who sign up will be organised into groups based on their chosen university degree major. 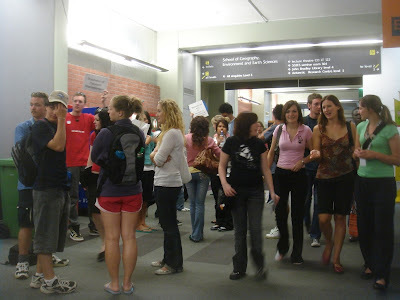 The Campus Coach groups are run by trained students of the university. 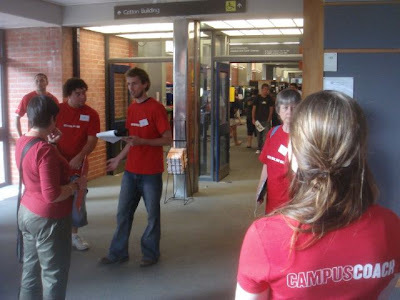 & the Campus Coach chats with them & makes sure they are on track in their first month of univeristy. an average of about 4 turn up regulary each week.I hada great time leading the group & im sure they had a great time visiting the many food places i brought them to! 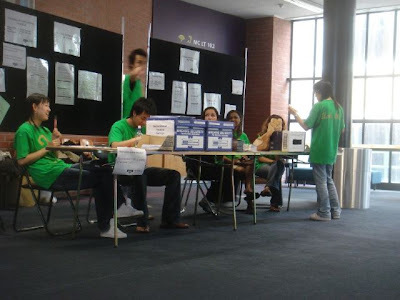 where first years come for infomation & free maps, guides, calenders & etc. 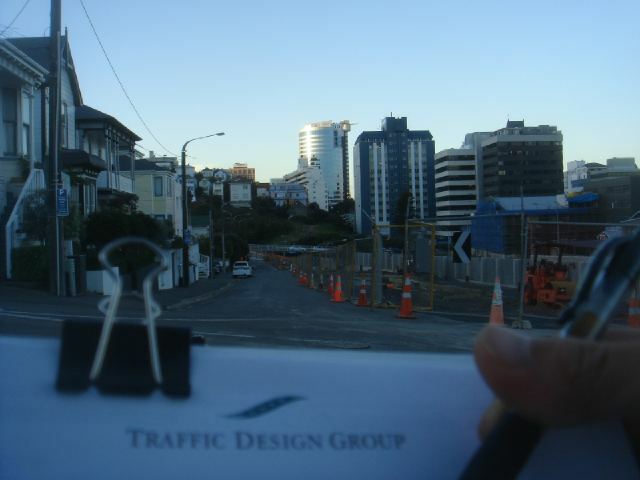 The third job i took, and is still taking up on and off, was with the Traffic Design Group. They write reports on the use of streets in and around the Central Business District for the Wellington City Council so they can make better plans for future transport development. My task is to be on a street and monitor the number of either one or a combination of cars, people and bicycles. My latest job is with a mature woman who is a volunteer librarian with a community group she is part of. What i do is type mini library cards for her in a certain format on an electronic typewriter. The old lady is wonderful & very very kind.